Termites are a concern for homeowners because they can cause significant damage to the wooden structure of a home. However, there are also other insects that damage wood and are a threat to your property. Let’s look at a few of the more common types of wood-destroying insects. Carpenter ants are large and range in color. Some ants, called swarmers, are winged. These ants do not eat wood. Instead, they bore into the wood to build nests and to hatch eggs. Carpenter ants prefer moist, rotting wood as it’s easier to bore into. It also provides an ideal environment for their nests. Powderpost beetles breed in dead or dry hardwoods. Their larvae damage the wood as they bore towards the surface. The adult beetles are small and brown with a tiny head and elongated body. Powderpost beetles can cause damage to wood piles, fencing, furniture, and building structures. Another of the common wood-destroying insects is the old house borer, also known as the long-horned beetle. They lay eggs in cracks or crevices of untreated lumber. They can leave exit holes about .25-inch in diameter, sometimes accompanied with tiny rod-like pellets. Adults grow to between .75 and 1-inch and have a brownish-black body that is somewhat flattened. A carpenter bee looks a lot like a bumblebee. However, their habits are entirely different. Instead of nesting in colonies, carpenter bees are solitary creatures and build individual nests. These bees do not eat wood, but they dig into it to create their nests. 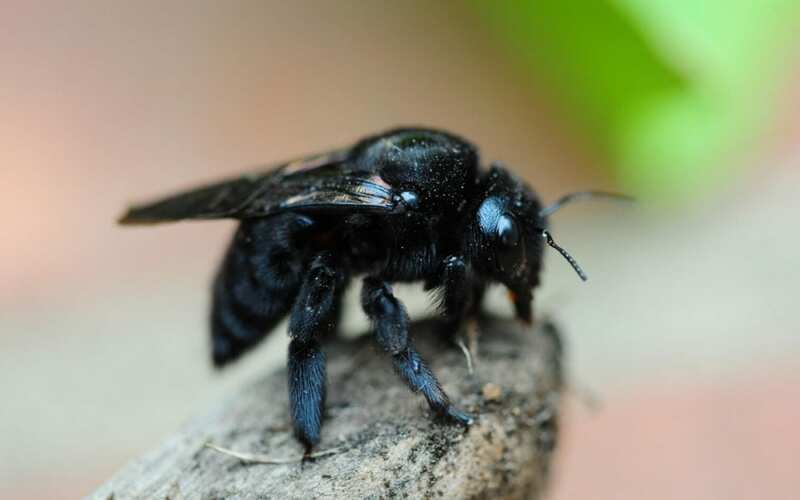 The most common sign of a carpenter bee is a smooth borehole found in untreated wood. The bees can sometimes be seen hovering around the hole. Remember that termites are not the only insects that can damage your home. Catawba Island Home Inspections provides wood-destroying insect inspections to Northwest Ohio. Contact us to schedule an appointment to protect your biggest investment.